Strong debut album from Nottingham, England four piece The Liberty Ship builds on the celebrated "I Guess You Didn't See Her" and "Northern Angel" singles which earned the band rave reviews and comparisons to pop greats The Byrds, East Village, Weather Prophets, The Rain Parade, Go-Betweens, Beachwood Sparks, and Hurrah! The dozen songs on this album feature chiming guitars, brilliant melodies, and catchy choruses that further demonstrate the band's skilled songwriting. Lead vocalist and guitarist Marc Elston was formerly one-half of pop combo Bulldozer Crash, responsible for a clutch of excellent releases on Sunday and Heaven Records in the 1990s. 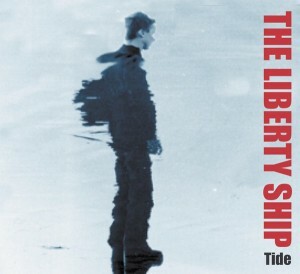 He is joined in The Liberty Ship by Rachel Eyres on vocals and guitar, Tim Wade on bass, and Steve Mietlinski on drums to produce a splendid sound with lovely harmonies. Rachel's lead vocals on three tracks (plus clever use of electronica, tambourines and harmonica) all provide pleasant variety. An impressive debut album from an engaging guitar pop band.